I love Dead Sea products because they contain all the healing and detoxifying minerals from the Dead Sea which has long been known for it's healing properties. InstaNatural's Dead Sea Mask also contains these healing and detoxifying minerals that are beneficial to the skin, such as magnesium, sodium, bromine, potassium, and calcium. The mask comes in a huge tub and is literally a mud. It has no scent which I really appreciate! It feels wet and gooey and spreads on my face easily in a nice layer. After about 15 minutes, the mask is totally dry and can be washed off with warm water. I love how this mask dries into a clay and really feels like it is drawing out all the oil, dirt, and toxins from my skin. After removing the mask, my skin feels super smooth and looks clear and glowing. I love how my face looks and feels thanks to this mask, and use it once each week. The mask can also be used as a body treatment to relieve muscle aches and pains. I haven't tried this yet but plan to do it soon since my shoulder has been acting up. 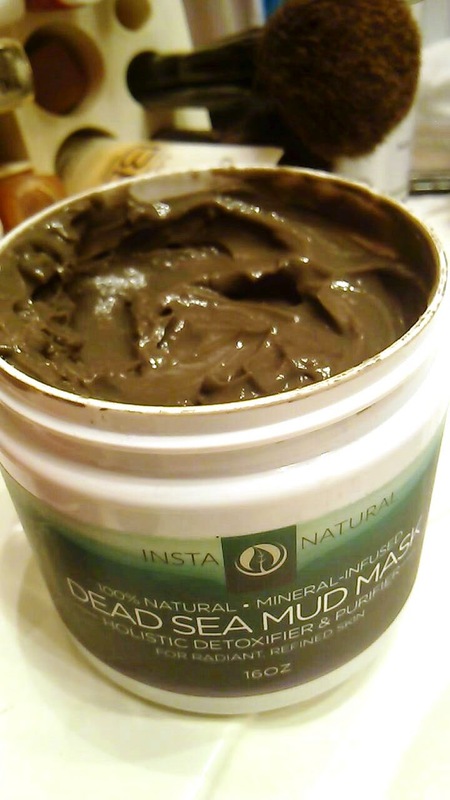 Overall, the InstaNatural Dead Sea Mud Mask works well and leaves my skin looking and feeling improved.